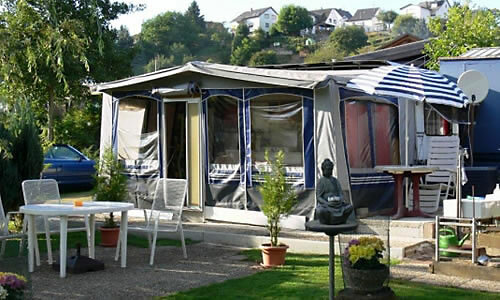 You do not have your own caravan and still want to enjoy the camping feeling at the Lahn? 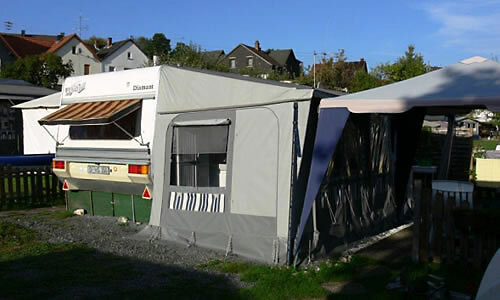 No problem – with our fully equipped rental caravan! 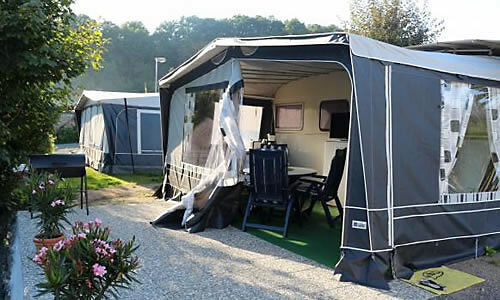 In addition to the usual personal holiday luggage you only need to bring your own bed linen (sheets and pillows – sheets, pillows and blankets are provided) as well as towels and kitchen towels. Please do not bring pets! 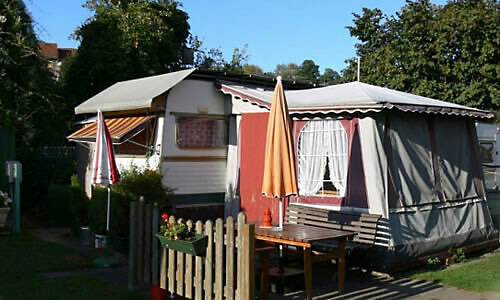 This is the only way to meet guests who are able to move into the caravan after an animal due to allergies.